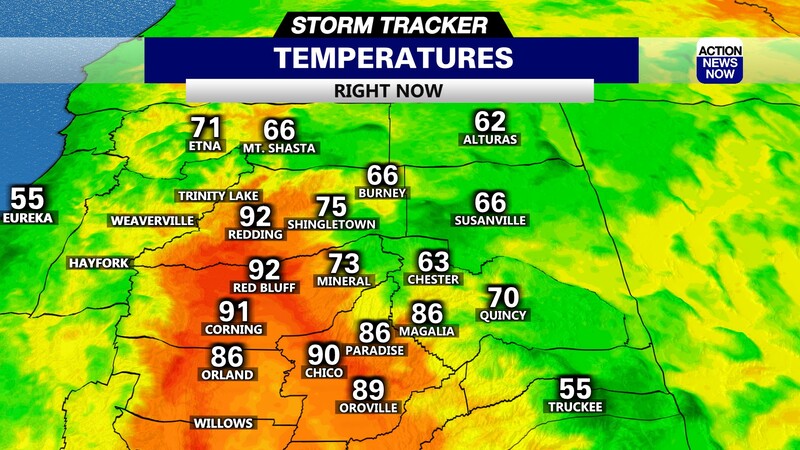 We'll top out in the 70s across the valley tomorrow, with a chance of rain in Shasta, Siskyou, Trinity Counties. Chico, Calif.-- Slightly cooler temperatures today and higher - but still low - humidity, all ahead of the closed low pressure system close to landfall. That increased onshore flow is keeping temperatures a little cooler today and bring even cooler air in Saturday as the storm center lifts out over to the North. 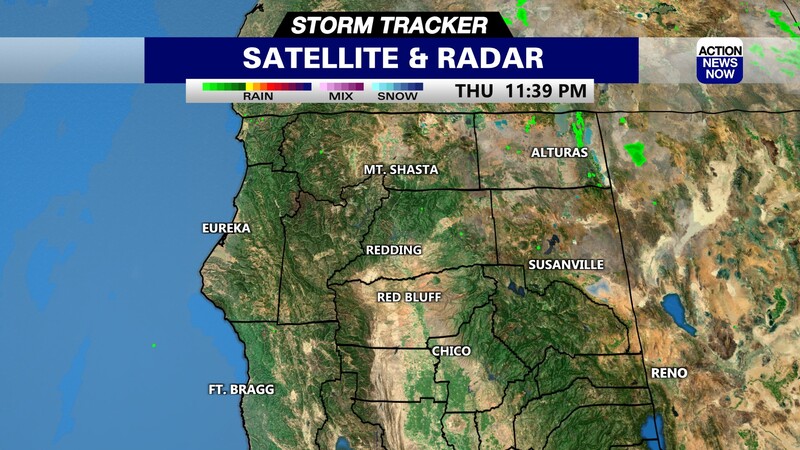 That's where we're seeing a chance of showers and a few thunderstorms across Trinity, Siskyou and Shasta Counties from Saturday afternoon into the next morning. A Pacific upper-level low pressure system approaches the North State Monday, so temperatures will stay cool, below normal, and bring another chance of rain. It's too soon to be sure just how much if any rain will head our way, putting the chance of rain Monday night in the valley at about 10-20% - it may hit a little to our south. 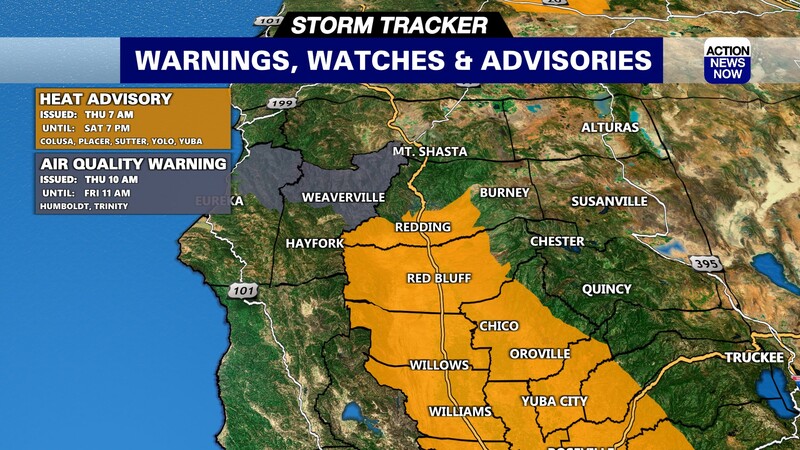 You can expect a greater chance of rain in the Sierra. This system will move into Southern California mid-week - at this point, we'll likely see a ridge of high pressure bring dry conditions and warmer temperatures. But, as soon as Thursday, we could see more rain on the way - at least in the higher elevations.